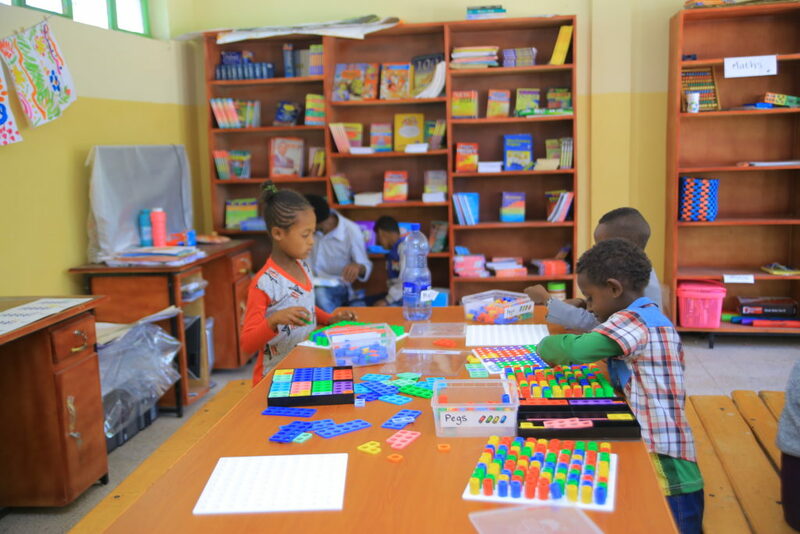 Students in the newly opened resource room at Ambo Lazarist School for the Deaf, Ambo, Ethiopia. Ambo Lazarist School for the Deaf in Ambo Ethiopia (two hours west of Addis Ababa) is VLM’s flagship project. 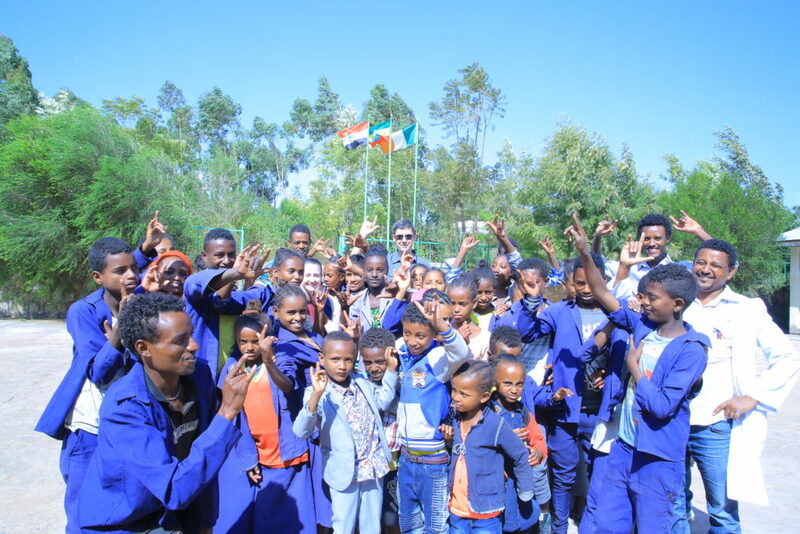 It was opened by the Vincentian Community in 2012 with the support of Castleknock College, Misean Cara and Ethiopia Deaf Project. EDP (Ethiopia Deaf Project) is a 100% voluntary group. It began in 2008 in response to the needs of deaf children and young adults in Ambo, central Ethiopia. These individuals were living in total isolation, most had never been able to communicate with their families or community and they had no experience of sign language. Many had never been allowed outside the house and were kept as workers on family farms. In some instances the families believed their deaf child was cursed and lived with that stigma. Within the already difficult conditions of Ethiopia, the barriers that these children face are made even steeper through poverty and a general lack of education. After four years of planning, fundraising and crossing of fingers, the Ambo Lazarist School for the Deaf was officially opened on the 30th December 2012. Employing 5 fully qualified teachers of the Deaf (3 of whom are themselves, Deaf) the school firstly offered places to the older Deaf children in the area, aged 11-16yrs. Phase two of the Ambo Lazarist School for the deaf has since been completed with the building of additional classrooms (2015) to welcome the younger children (ages 6-10) into the school. Read Article from the Irish Independent about Fr Stephen Monaghan’s work in Ambo Lazarist School for the Deaf (published December 26th 2017). 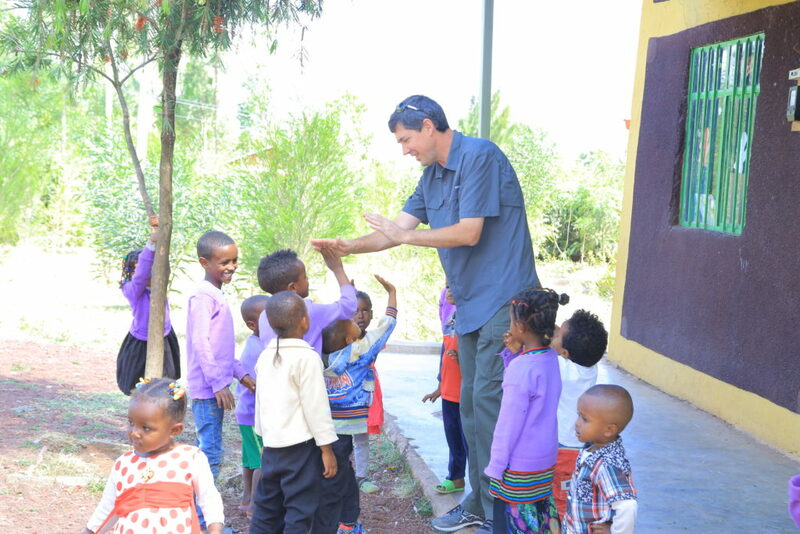 The third phase of the Ethiopia Deaf Project is to both maintain the overall running of the school while also offering some of the older Deaf students the chance to develop vocational skills. These skills will assist them in gaining meaningful employment or to generate their own income e.g. through honey production. For other students, we would also like to provide continued support for their education at third level. This support is often not just educational or material, it is hoped that through the Deaf Community that every individual student will continue to grow and flourish in their identity and reach their full potential. 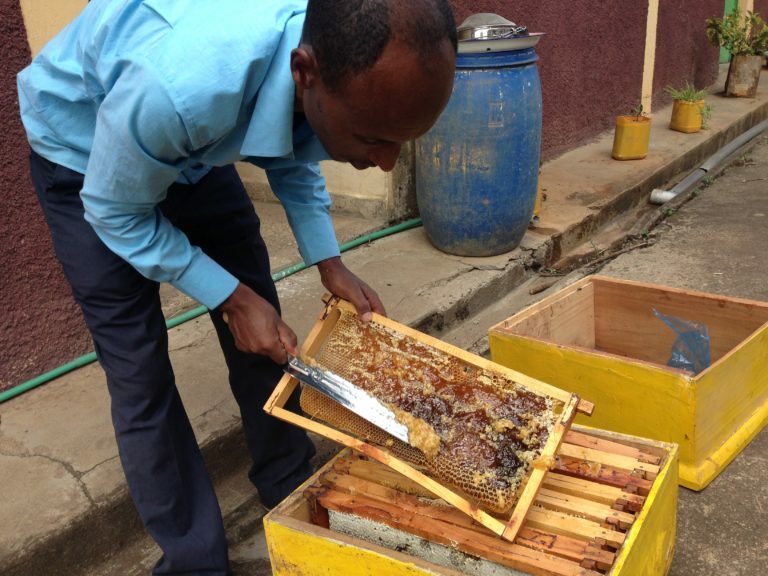 Honey production can be a solid source of income in Ethiopia. Training is provided to graduates of Ambo Lazarist School for the Deaf. At EDP donations and offers of support are always welcome. We run a sponsorship program for the children. This is done on an individual basis through the management of the school. We aim to support but at the same time make the students independent. Sponsors are asked to contribute to cover the school fees of the students while they are attending Ambo Lazarist School for the Deaf. For as little as €5 a week (two cups of coffee) or €21 a month (getting your nails done or two lunches out) you can walk with us on this journey and support a young Deaf person in Ambo. 100% of your donation goes directly towards a child’s education. The latest phase of EDP’s work aims to build a boarding facility and enable more children to attend the school. An outreach programme into the countryside of the Ambo region, identified up to 200 other deaf individuals in need of support. 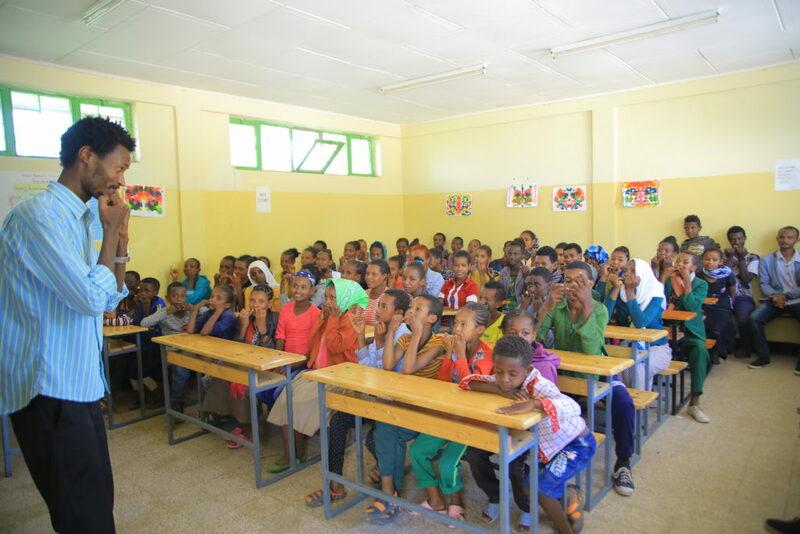 Around 80 of these are children who would be eligible to attend Ambo Lazarist School for the Deaf. Living in isolation, these children and young people have had limited education as provision was unavailable to them in their local schools. Aside from education, these children have other communication, language and psycho-social needs that need to be addressed in a specialised environment. To access Ambo Lazarist School for the deaf, these children should be accommodated on campus or with families in the neighbourhood, as many live a couple of days walk away. Students at Ambo Lazarist School for the Deaf. As Ambo Lazarist School for the Deaf fosters a consultative approach to its programming, it is important that success is measured through student feedback. In 2017 the students were interviewed about their experiences at the school. The young children expressed their happiness about being able to learn sign language and meet friends who are like them. The older children and young adults expressed their appreciation for the safe space that the school provided, as many of them had endured abuse and mistreatment in previous schools and situations they were in.